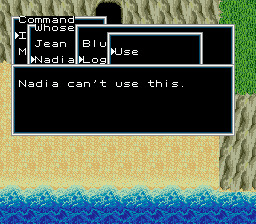 Fushigi no Umi no Nadia is an adventure game for the Sega Genesis. 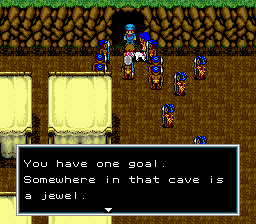 The game is based on an tv anime with the same title. 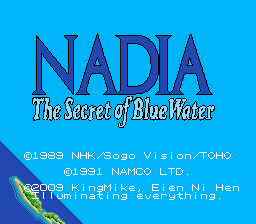 Nadia: The Secret of Blue Water is an adventure game for the Sega Mega Drive, developed by Namco and based on the anime. It tells an abridged version of the series. The patch should be applied to a deinterleaved “BIN” format ROM. It will expand the ROM to 12mbit. It will run in English if the region setting is set to USA. 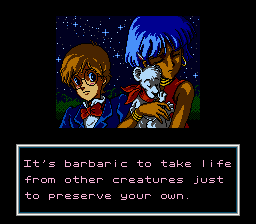 Otherwise, the game will run the original Japanese text/graphics (though the Japanese passwords aren’t preserved due to program limitations). The readme for version 1.1 was not updated in the archive to reflect the version update. Information on KingMike’s website list 1.1 changes as ‘fix compatibility bugs’.